The Porsche 550 Spyder was a model sports car that was produced by the Porsche family motor vehicles from 1953 to 56. 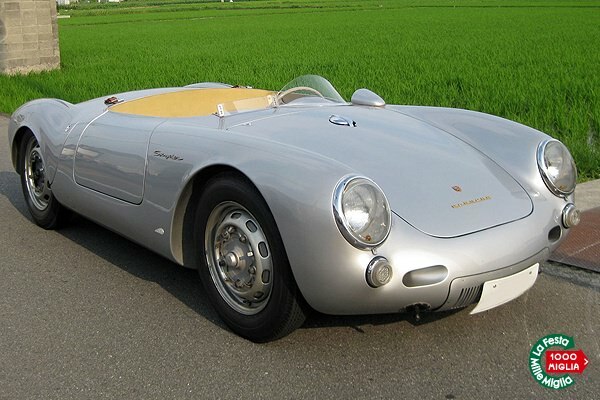 The initial production of the car was introduced at the Paris Auto Show, offering a low body that is very low to the ground, offering for optimal fuel efficiency when put in racing conditions, which is what the Porsche 550 spyder was initially developed for. The newer model, which was developed in its final year of production in 1956, was a much lighter body and frame, offering a more rigide chassis system, which gave it a great body to race in many racing events and series. The Porsche 550 Spyder was replaced in 1957 with the Porsche 718, which was far more successful in Formula 1 racing, due to the development, the low body frame, the compact size, and the easy of movement on the course, which the Porsche 550 Spyder did not offer to racers. Today, the Porsche 550 Spyder is known as the Porsche Boxster, which is a common sports car, and has gone through various changes, in order to offer a more fuel efficient sports car, and one that drivers feel the luxury and comfort while driving down the road in. The original Porsche 550 Spyder offered fiberglass panels, which sat on a custom chassis, and was powered by a VW Porsche or Alfa Romeo flat 4- engine drive engine. These series were discontinued in 1956, which were replaced by the 550A, and its later series the 718.